There's finally some good news for Twitter and Square CEO Jack Dorsey. Square (SQ), the mobile payments startup that Dorsey runs and took public last year, soared nearly 15% Thursday after the company reported sales that topped Wall Street's forecasts ... and a smaller loss. And Twitter (TWTR), which disappointed investors with slowing sales, flat user growth and a weak outlook last month, soared Wednesday and was up again slightly on Thursday. Why? Wait for it ... more takeover chatter. The latest rumor is that Twitter investors Saudi Prince Alwaleed Bin Talal and Los Angeles Clippers owner Steve Ballmer (and YouTube star ... Google "Monkey Boy Dance" and "Developers!") may team up to buy Twitter. Ballmer bought a 4% stake in Twitter last year. He told the world about it, naturally, with a tweet. Prince Alwaleed's Kingdom Holding owns about 5% of Twitter. Only Evan Williams, a Twitter co-founder and CEO of red hot blogging service Medium (but not the bourbon maker), owns more. Twitter was not immediately available for comment about the latest merger speculation. And many analysts were quick to shoot down the scuttlebutt as idle chitchat among bored traders. This is the market's summer doldrums after all. Still, it's getting harder to deny that Twitter's fortunes may be better off if it sells out -- either to go private and get away from Wall Street's incessant focus on user growth, or as part of a larger public company. That's what another struggling social media company wound up doing after all. LinkedIn (LNKD), which stunned investors back in February with a poor outlook that caused its stock to lose nearly half its value in one day, agreed to sell out to Microsoft (MSFT) in June. The Ballmer-Alwaleed takeover talk isn't the first Twitter merger rumor. Just a few months ago, there was chatter about a possible bid from influential Silicon Valley investors Marc Andreessen and Silver Lake Partners. And rumors about a Google ... umm, excuse me, I meant Alphabet (GOOGL) -- purchase of Twitter have never completely gone away. They likely never will now that former Google executive Omid Kordestani is Twitter's chairman. Twitter may continue to have a tough time convincing the masses to adopt tweets -- even if the service is beloved by journalists, celebrities and presidential candidates. Facebook (FB) -- and maybe Snapchat -- will remain the primary social media destination for most people -- including advertisers. So maybe it does make sense for Dorsey to cash in his chips with the little blue bird and sell Twitter to a bigger entity. That way, he can focus exclusively on Square -- which seems to have momentum again after its rocky start as a public company. Related: Will Brexit lead to a new merger mania or kill deals? More businesses are adopting Square. Gross payment volume on the platform surged 42% in the second quarter. And the company said most of that was due to new sellers, particularly larger businesses. 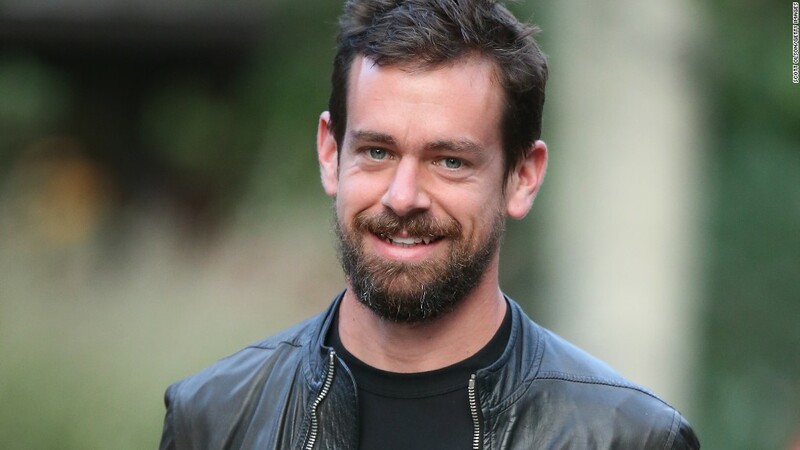 One of the biggest criticisms that Wall Street has had of Dorsey is that it may be impossible for him to effectively lead two public companies -- especially one that faces as many significant challenges as Twitter. So if Twitter takeover talk persists, investors may need to paraphrase a "Hamilton" lyric and start singing this. "Dear Mr. Dorsey. Your fellow shareholders would like to know how you'll be voting. Twitter or Square? We know it's lose-lose. Twitter or Square? But if you had to choose."